Excellent Value. Advance Access. Great Benefits. No Hassles. Delivered Direct To Your Inbox. 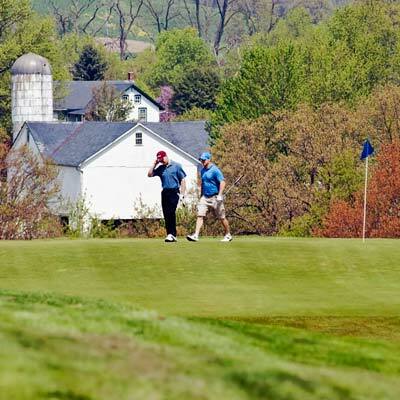 Pilgrim's Oak features a links-style course in the gently rolling hills of Lancaster County, Pennsylvania, flanked by scenic and carefully tilled farms of Amish and Mennonite neighbors. The Golf Course was recently ranked by Golf Magazine as the "13th best course in Pennsylvania" for courses you can play, and annually receives Golf Digest's 4 Star Rating. Come experience this captivating links layout that is always kept in immaculate shape. Adding to the area's beauty and tranquility, Pilgrim's Oak has a great practice area for your short game, a fully-stocked proshop with the latest equipment & apparel, and offers lessons by a PGA Professional who will help take your game to the next level. We all want our dollar to stretch further in this unstable economy. Pilgrim's Oak has the solution. With Annual Golf Membership Programs that all ulimited golf for much less than the cost of a Private Country Club...you'll play more golf at a great course for less money! "Excellent Value & Service!" • "A Layout You Can Play Every Day!" • "Great Course Conditions!" 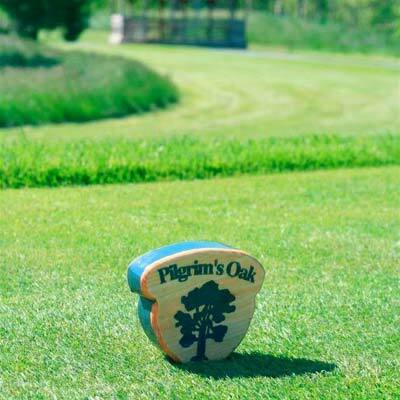 Pilgrim's Oak Golf Course combines a great golf experience with the unmatched beauty of the Pennsylvania Landscape. Our seamless integration of friendly service and gorgeous natural surroundings is what our patrons enjoy year after year.